"Should you sacrifice your time to this title, or is it just blowing smoke in the wind?" Over the past short while I’ve had a few games with good stories and it has been a mixed bag about whether the rest of the game has matched what the tale that is being told can match. 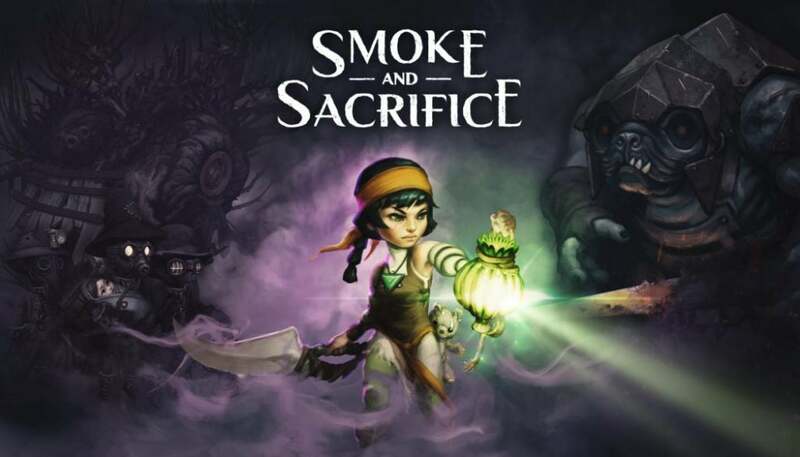 I have to say that Smoke and Sacrifice is a contender and it does everything very well. It seems to be something that Curve have a good eye for. A lot of their previous games have ran in a similar vein, as I remember having loads of fun on Stealth 2, even though I really had no right to. 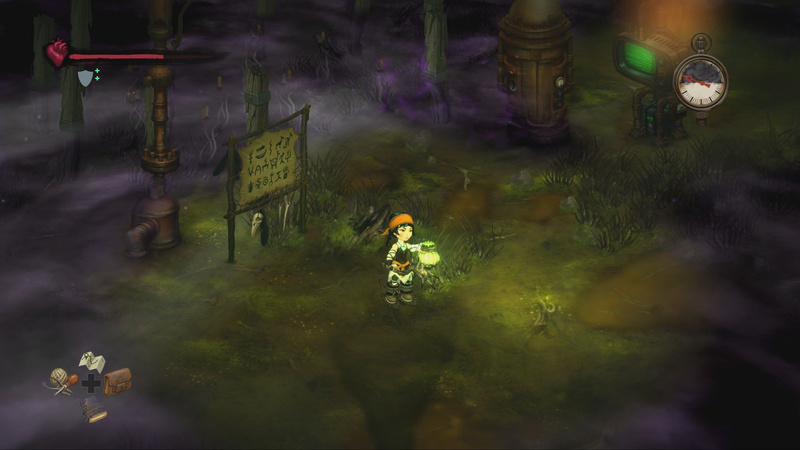 The depth of RPG contained in a game that looks like it has no right is very commendable. The crafting side is a lot more in-depth than you would have any right to think in a game at this price point. There’s usually something you can make to get yourself out of most things, like making a lantern to light up hard to see areas and so on. It isn’t without issues though. As time goes on and you get further into the story, like most RPGs, you can find yourself treading old ground and that “GRIND” that you thought had gone from the role players can still linger, but it can be made up by enemies being able to fight each other if they notice each other on-screen. There’s a lot of greatness, with just a hint of not-so-much. Think it needs a little more smoke? This is a tough one. The graphics are crisp and clean, but they are not to my personal taste. I’m not a big fan of them. If I wanted 2D characters, I’d opt for full pixelation. This feels more like you’re playing using somebody’s scrapbook. It does have some 3D characters, like the Pugbears, who I think are AWESOME, but those moments I do like are more few and far between than on the money for the most part. The other issue is that the colours don’t really stay vibrant as much as I would hope for either. The intro can be rather dark and bland, which may well be the way it has to be because of the story, but I just felt a little cold and empty, which saddened me. The bottom line is that it is a very hit and miss graphical style that will have you smiling or smirking, dependent on how you feel. 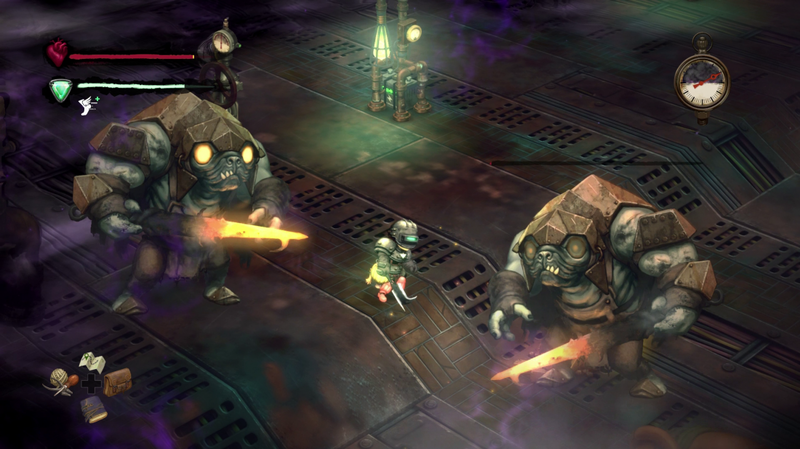 Smoke and Sacrifice puts itself slap bang in the heart of old school RPGs. The music is on that fake stringed orchestral, mixed with the odd modern twang here and there. To be fair though, it doesn’t really NEED to do much more. I mean, look at Final Fantasy VII. It did it on the same terms and did a great job. It sits nicely and I have no real complaints here. There is a nice feeling of difficulty curve, which is attained in different ways. There’s the crafting, as we have said before. This is essential to get further in an easier way, but you will always be dealing with enemies on your backtracking, so you have to keep an eye on what you’re doing and having equipped. It also depends on what skills you’ve unlocked as the story goes on. As long as you have the patience to put up with those moments where there will be a lull, you’ll be golden. You may not be surprised to see this sitting in the middle section of the scoreline. You get through the story and most achievements will say hello to you as you walk on by. There are those that are harder to get, but it allows for more replay and it may well make you explore more than you would have been thinking you wanted to do. Cheaper RPGs sometimes leave you with no desire to continue or have the game as a throwaway. Does what it says on the HD. I will hold my hands up and admit it, Smoke and Sacrifice surprised me. I initially saw the screenshots and thought to myself that I want nothing to do with it. If there was ever a game that the phrase “Don’t judge a book by its cover.” then this would be that example. If you can get our head around how it looks, that is if you’re not a fan, as you might be, then you will open up a quite interesting little role player. There’s a lot more to do than you will feel you are entitled to. Crafting, skills to unlock, lots of enemies to kill off, a story that is more interesting than irritating. This is a pleasant surprise, it has to be said. I didn’t think I would want to look at the game after five minutes, but it has totally surprised me. I’m glad it has too. This plays better than some story-based gaming double the price. The constant backtracking may put some off, but if you can get your head round that and take everything else on board, you’ll find a nice little narrative that will help you misplace a whole load of time, should you let it.